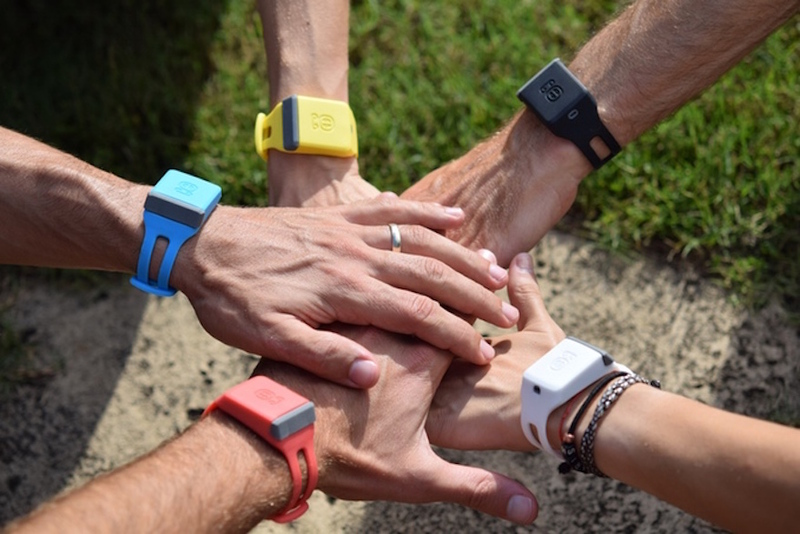 SunZee is a wristband that simplifies sunscreen reapplication during outdoor activities. In order to get adequate protection from the sun, sunscreen needs to be reapplied to exposed skin every two hours to avoid damage from UV radiation. For those who like to keep active with outdoor activities or sports, persistent sunscreen reapplication can prove to be a challenge as it means interrupting an activity or simply remembering to reapply. SunZee addresses this problem by providing instant access to sunscreen through a wearable device. SunZee encourages the correct sun protection behaviour with a low-tech wristband that features a compartment for replaceable sunscreen capsules. The capsules snap into the face portion of the band and can dispense two full doses of 40 SPF sunscreen when the wearer presses the top down to release cream from a slot on the side. Once the a wearer has emptied a capsule, a new one can be inserted into the wristband. The band is made out of high grade silicone and the capsules are made out of recyclable polymer and polypropylene material. The 40 SPF sunscreen in the capsules is a water-resistant, chemical-free lotion approved by the FDA. Aside from defending the skin from harsh UV rays, the wristband also serves as a visible reminder to keep reapplying sun protection. SunZee offer on-the-go sun protection for outdoor athletes like surfers and skiers, or professionals that work out in the open. The wearable can also help parents keep their children protected from the sun when they are not around to do so.